Mike Nattrass has confirmed, in the Sunday Mirror, recent allegations concerning Farage and Annabelle Fuller. Mr Nattrass’ revelations about life inside UKIP come days after Farage found himself at the centre of explosive allegations about his private life. Former UKIP MEP Nikki Sinclaire stood up in the European Parliament on Wednesday to ask why he was paying a salary to former “mistress” Annabelle Fuller, a party aide. Father of four Farage has denied she is his mistress but Mr Nattrass, deputy leader from 2002 to 2006, claimed the pair have been close for ten years. 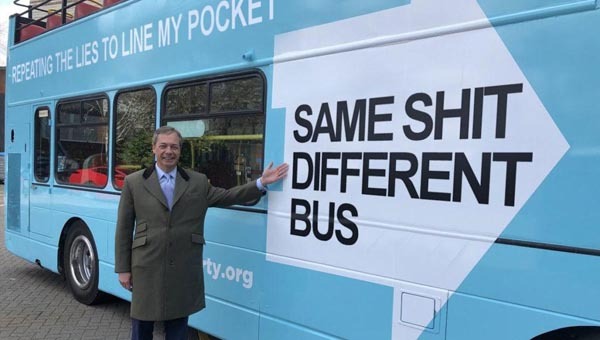 He said the friendship between Farage – married to Kirsten Mehr since 1999 – and Miss Fuller was “an open secret” in the party, which is on course to top the poll in May’s Euro elections, pushing the Tories into third place. The former chartered surveyor, 68, added: “She used to go strutting about saying, ‘I will be the next Mrs Farage’. Another insider told the Mirror how Farage and second wife Kirsten were in a hotel room at a party conference when Miss Fuller knocked. Mrs Farage told the young aide “where to get off”, it was alleged. Farage’s friend and former UKIP MEP Godfrey Bloom, who shared a Brussels flat with him for several years, has admitted his pal was “partial to crumpet".